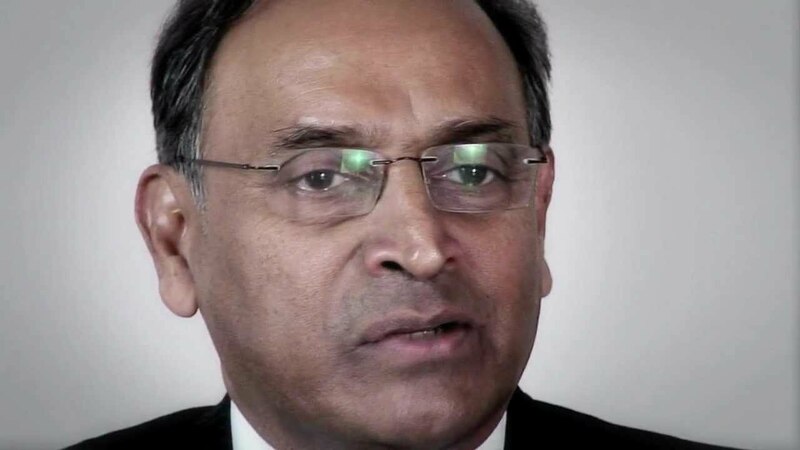 Dhanapala, one time Under Secretary General, United Nations, was specifically asked to state his position regarding the blocking of Colombo Telegraph given his many media communiques championing the freedom of expression. Dhanapala, in his communications with Colombo Telegraph uses the word ‘alleged’, implying that he is not certain if indeed Dialog had blocked Colombo Telegraph. However, our investigations reveal that he had told his friends that he could not access Colombo Telegraph. This was 7-10 days prior to our first communication with him. The use of the word is inexplicable since Colombo Telegraph provided him with the technical report which clearly shows that Dialog was indeed blocking Colombo Telegraph. Dhanapala has claimed that he is a regular reader of Colombo Telegraph. As such it would be strange indeed if he, a Director of Dialog, was using another internet service provider to access the site. He has explained the long delay to respond by claiming that relevant personnel in the senior management of Dialog had been abroad and therefore, presumably, unable to respond. This is strange considering the fact that Dialog is about fast and easy communications services. It is hard to believe that the said personnel did not enjoy roaming facilities or were uncontactable via text or email. Dhanapala has taken pains to distance himself from the blocking by pointing to the fact that he is an independent, non-executive director of Dialog. He has intimated to Colombo Telegraph that he had been advised that responding to any external communications on company affairs is the sole responsibility of the Executive Management. He has, accordingly, requested Colombo Telegraph to raise issues with the same. Colombo Telegraph, however, offers that Dhanapala was advised in all likelihood not by the Executive Management but by Chandra Jayaratne. Colombo Telegraph concludes thus considering the fact that Jayaratne, responding to a Colombo Telegraph query on the subject gave the same answer, word-to-word, that Dhanapala gave Colombo Telegraph. It cannot be a coincidence that Dhanapala, breaking a silence of almost a month, uses the same words that Jayaratne uses in an email to Colombo Telegraph, sent within a few hours after Jayaratne sent his observations. When Colombo Telegraph inquired from Jayaratne whether he had in fact advised Dhanapala, the former did not offer a denial. This leads us to conclude that in Dhanapala has been extremely devious and deceitful in his communications with Colombo Telegraph, all the more disturbing because his conduct does not sit well with his rhetoric with regard to freedom of expression. Colombo Telegraph reproduces below all relevant communications with both Dhanapala and Jayaratne so the reader can draw his or her own conclusions on the former’s behavior in this matter. I understand you a board of member of the Dialog Axiata PLC. Looking forward hear from you at your earliest convenience. It is correct that I am a Non-executive Independent Director of Dialog Axiata and I am thus uninformed about operational details of the company. The first information I have had about alleged Dialog interference with the Colombo Telegraph (of which I am a regular reader) was when I read of this in your blog. I will make inquiries about this and let you know what the position of Dialog is on this matter. Jayantha Dhanapala, a prominent member of the Sri Lankan civil society group, the Friday Forum, is a member of the board of directors of Dialog Axiata PLC, Colombo Telegraph learnt. Dialog one of Sri Lanka’s key telecommunications providers, has been surreptitious blocking access to Colombo Telegraph, over a period of time. Dhanapala was appointed to the Board of Dialog Axiata PLC on 3rd August, 2007, after serving as Under-Secretary-General of the UNO (1998-2003), among other high posts. When reached for comment on this matter, Dhanapala stated, via email, nearly three weeks ago now, that, he was “uninformed about operational details of the company.” He went on to say that, “The first information I have had about alleged Dialog interference with the Colombo Telegraph (of which I am a regular reader) was when I read of this in your blog. I will make inquiries about this and let you know what the position of Dialog is on this matter.” We have not heard from him since. Dhanapala is an “Independent, non-executive” director of Dialog, and would in accordance with company policy, have “independent access to the group’s senior management”, and also “professional advice,” on the legal status of the blocking. While Colombo Telegraph has no direct information of the quantum of compensation Dialog pays Jayantha Dhanapala, the 2013 annual report of lists an amount in excess of 76 million Rupees, as directors compensation for the entire board of 8 members, who meet 7 times a year. This mail is in response to your request for a comment from me. I remain confident that JD will as always, including in relation to this issue, will stand by the best practices of good governance within accepted Codes of Conduct and in line with his unquestioned integrity, high principles and values and uphold his valued commitments as a benchmark civil society leader held with respect by many including myself. I refer to my email of 17 February. A reply from the Dialog senior management was received by me later than I expected since the relevant personnel were abroad. I wish to reiterate that I am an Independent non-executive director of Dialog, not engaged in any way in operational level management of the company. I have been advised that it is the sole responsibility of the Executive Management to respond to any external communications on company affairs. In view of the foregoing, I have to request you to raise any issues or clarifications you require directly with the Executive Management of Dialog. He does not, it would appear, to have any plans to resign from the Dialog board. The issue at hand is blocking of internet access to the Colombo Telegraph website, which Dhanapala, has characterized as an “allegation.” It has been long established that CT’s website are being blocked by a number of Sri Lankan broadband providers, through uncontradicted tweets by Colombo editors and journalists like BBC’s Charles Havland, Groundviews’ Sanjana Hattotuwa, and Nalaka Gunawardene, as far back at March 30, 2013 and December 25, 2011. Further, the US State department human rights report for 2013, does clearly state that, “ The government periodically blocked access to the Colombo Telegraph’s website…”. Surprisingly, Dhanapala, who is a “regular reader,” of Colombo Telegraph claims he only learned of what he calls an “alleged Dialog interference with the Colombo Telegraph.” after reading Colombo Telegraph. However, there seems to be little worth in these statements. Colombo Telegraph maintains that the blocking of its web servers through a variety of surreptitious means, is illegal and unethical. What is at stake is not, who “respond(s) to any external communications on company affairs,” but whether it is ethical member of the board of the company, who advocates freedom of expression and a free and independent media, as a key member of a vocal civil society group to remain in that position. Civil Society activist group Friday Forum so far has not condemned or issued a statement explaining its stance on ongoing illegal blocking of web-based media. it is pity he is acting like an employee. By the way what the Friday Forum stance on this on going illegal web media blockade? I have discussed with Jayantha Dhanapala, a friend and highly respected colleague, (from the back drop of my long years of experience and deep study of board room governance best practices), the responsibility, accountability and best practices of governance within applicable codes of conduct, expected of a non executive board member. The Friday Forum has not met together in session since your first note copied to me. I wish to reiterate that I remain confident that JD will as always, including in relation to this issue, will stand by the best practices of good governance within accepted Codes of Conduct and in line with his unquestioned integrity, high principles and values and uphold his valued commitments as a benchmark civil society leader held with respect by many including myself. Thank you for letting me know your stance on this matter, but our investigations show that it was Chandra Jayaratne who advised you and not the Dialog. If you think I’m wrong please let me know. We have not heard from Dhanapala since !! 2. To begin with , it is based on Lies. So jayantha Dhanapals, aka Borupala, just follows the adulterated teachings of Monk Mahanama in Mahawansa, that contains lies and tissue of absurdities. Para-Sinhala Nationalism and Para-Tamil Nationalism of Monk Mahanama imaginations of Mahawansa need to be exposed and discarded. Why? Non- Confirmation bias of Mahawansa. a) Grandfather of Para-Vijaya was a lion? Any DNA data in support of this imagination? b) Buddha visited Lanka three-times in 500 BC? any support for the Imagination. c) During one visit, Buddha left his giant footprint on top of Mount Samanala Kanda, “Adams Peak”. Did he fly by the Dandu Monera Yanthraya, Giant Bird, and parachute? d) The Veddah are the offspring of Para-Vijaya and Kuveni. Is there any DNA data to support this? No. Another Monk Mahanama Imagination. Sri Lanka’s indigenous inhabitants, the Veddas — or Wanniya-laeto (‘forest-dwellers’) as they call themselves — preserve a direct line of descent from the island’s original Neolithic community dating from at least 16,000 BC and probably far earlier according to current scientific opinion.1 Even today, the surviving Wanniya-laeto community retains much of its own distinctive cyclic worldview, prehistoric cultural memory, and time-tested knowledge of their semi-evergreen dry monsoon forest habitat that has enabled their ancestor-revering culture to meet the diverse challenges to their collective identity and survival. Further reference: Here some credible data and reference of the genetic Admixture. The Native Veddah were the original inhabitants of the land, well before the foreigners, the parades-his, came from South India. Jayaratne and Dhanapala are birds of a feather -liars and frauds parading as defenders of democracy and democratic practice. They deserve to be treated with the contempt they deserve. Thank you CT for exposing these people who continue to do harm and not good to whatever resistance there is to the fascist project going on in SL at the moment. All they are interested in is continuing to earn money and they don’t care what they have to do to earn it. I was in Sri Lanka till yesterday (15) and just left on a short trip. I can confirm that Mobitel and SLT, both of which I use, started blocking CT last week. Friends who are Dialog users have complained bitterly that Dialog has been doing so for much longer. I tried from their homes – blocked! I am firmly of the view that anyone who cares about freedom of information and democracy must take a strong, explicit and public stand on this outrage, not so much against websistes, but against us the people and our right to access opinions and information. I was a Dialog user, and for a short time in either 2012 or 2013, they did block CT. Sri Lanka Guardian was blocked all the time. Rather funny I get down voted for this post. I can only assume someone say my name and automatically hit the down vote. Can’t have anything to do with the post as it is devoid of political views. In any case, these down or up votes are worthless. Anyway you got my thumbs up. I told you the plane is high jacked- the man was depressed. Its common in tourist buses trains on auto pilot etc. I remember as a kid cheering Michael Young taking on the controls and steering the capsule to the moon when the auto malfunctioned while the other 2 had nothing to do. How many said thanks to him none. I am in the US now, but have also been to SL recently. So my comments on GOSL blocking CT and Guardian was based on personal expereince while staying in SL. Indian elections taking different twist and turns with Mango he is great because 70% rural want the real thing not Ambani PM.Good luck. I meant the Sri Lanka Guardian . Not the UK Guardian. I have to agree with Dr. Kumar David. It is a cowardly outrage committed against the people of Sri Lanka. By none other than corrupt, fascists who wield “the real power” in our country. Right now. Unseating these fascists operating a gigantic “Grey Zone” of power in Sri Lanka is a massive task. Sri Lankan people need and deserve all the support they can get in that task. I believe Dr. Dhanapala and his fellow FF partners are decent people, who care deeply about our country. Dr. Dhanapala has no other choice, but take a very celar, public stand on this. This is not an issue anyone can hide away from. It is indeed about the future of Sri Lanka. Take a page from the playbook of Wanathamulla activist who challenged Gota head on. Let us learn from Rizana Nafeek’s mother who refused millions from Saudis, who murdered her impoverished daughter. This is a time to stand up Mr. Dhanapala. Dialogue has been blocking CT for over a month now. I have a Dialogue dongle and use vtunnel to access CT. I am planning to find another telephone service provider. We should start a citizens campaign and call a BOYCOTT against Dialogue and all other companies that are blocking the free flow of information on the orders of the Mahinda Jarapassa military junta. We are surprised that Dr. Jayantha Dhanapala and Chandra Jayaratne taking cover under the technocratic legalese have tried to brush under the carpet the issue raised by the Colombo Telegraph. It is more surprising that the members of the FF have not yet demanded that a meeting of the Forum be convened to discuss this issue. As the following list of members of the FF published in the media from time to time reveals the members of the FF are those who call the state and the rest of the society to be accountable for their action whereas they seem to be unable to apply the same yardstick to themselves when called upon to do so. So, the question is who guards the guardians? The Friday Forum comprises of Dr. Jayantha Dhanapala, Bishop Duleep de Chickera, Dr. Jayampathy Wickramaratne, Professor Arjuna Aluwihare, Suresh de Mel, Lanka Nesiah, Dr. Devanesan Nesiah, Ahilan Kadirgamar, Manouri Muttetuwegama, Prof. Camena Gunaratne, Dr. A. C. Visvalingam, Dr. Selvy Thiruchandran, J.C. Weliamuna, Shanthi Dias, Professor Savitri Goonesekera, Dr. Deepika Udagama, Daneshan Casie Chetty, Dhamaris Wickramasekera, Ranjit Fernando, D. Wijayanandana, Prof. Gananath Obeysekera, Prof. Ranjini Obeysekera, Dr. Nimal Sandaratne, Ranjit Fernando, Ms. Sithie Tiruchelvam, Ms. Jezima Ismail, Dr.A.C.Viswalingam, Ms. Suriya Wickramasinghe, Dr. S. Sivakumaran, Professor. Stewart Motha, Chandra Jayaratne, Dr. G. Uswatte Aratchi, Ms. Suriya Wickremasinghe, Ann Abeysekera, Tissa Jayatilake, Radhika Coomaraswamy, Rev. Dr. Jayasiri Peiris, Dr. U. Pethiyagoda, Faiz Ur-Chandran and Javed Usuf. You are right. The FF, either individually or as a group, has to make a clear and unequivocal statement on this issue. But that might be like looking for water in the middle of the Sahara, out of sight of an oasis! Most, if not all, of this bunch that you have named have a track record as opportunists who have done well or less well, depending on which lot of rogues has been in power. NEVER have they suffered for opposing those in power. I heartily echo Nimal’s views. Many of the FF are known personally to us and we know them to be decent and honest. However, we would count the luminary in question (Dr Dhanapala) to be more of an acquaintance than someone in regular contact, but on the few occasions we have engaged with him, we thought that he equivocated on knotty issues, albeit not in an undignified manner. This maybe the ‘political’ bone in his body speaking. We still believe however, that Dr JD possesses a strong sense of fair play and justice, so since we cannot appeal to him directly, we will, through this august forum, make a plea to him to take a strong, determined (and now necessarily) public stand on this major issue, and address this utterly puerile policy with the board of Dialog and make every effort to get it terminated. If he fails to do so, then he should resign from the board in an equally public manner, in order to make an example of them. If Dr JD fails to embark on this now urgent course of action, the Friday Forum should take the matter up with him and get him to do so. If the FF fails in this matter of public urgency and interest, then it should expel Dr JD from its ranks and make a public spectacle of it too, in order to retain its credibility as one of the vanishingly few voices of reason in these utterly desolate times. We the People have proposed a clearly laid out due process for JD to get out of this mess even though it can take forever to follow the process to the end. Let us hope that it is not proposed with the belief that this will be forgotten in the meantime. This case will be an acid test for checking the integrity of all the esteemed members of the most august FF. Pls,Could you tell me which SL politician of high caliber has resigned. He is not a liar, he is just another mundane, Ineffectual, academic who has never done a “proper” job in his life and had to stand by his principles or make hard decisions. This is the type of person our society simply accepts as “heroes” and we cast aside people who have won “impossible wars” and even won World cups. The reason I believe is the inherent and endemic Jealousy that our society possess. There is nothing to be jealous of Jayantha Dhanapala or most of those people in the Friday forum list. Contempt for most, Grudging respect for academic achievements for some but no “real” achievements in the hard world of commerce or even the REAL world that entails international competition. However those are the leaders of our society…mores the pity ! No they wont. But you are trying to make a living out of this. The government has stopped paying for this type of services since. Too late. It is has been told that the curse on Sri Lanka is the deafening silence of the Sinhala intelligentsia, and now this is evidence. Jayantha Dhanapala is in a no win situation, the poor chap. He may not be able to afford to lose his job by opposing dialog’s decision to block CT and he also can’t oppose the Rajapaksas who ordered Dialog to block CT because a white van ride is a distinct possibility. We shouldn’t forget that Mr Dhanapala with others in the Friday Forum have been brave enough to publicly oppose the unjust rule of the Rajapaksa regime on many occasions. I think Mr Dhanapala is a man of decency and principles but unfortunately he is trapped in a difficult situation in this case. Do you mean that JD will become a pauper if he loses his director post at Dialog? He was in fact the Chairman of Dialog before he became a director. Do you mean to say that he has not earned enough in his life to have savings sufficient for a very comfortable life to the end with the UN pension and all that? Don’t be silly, no one will send white vans if he resigns from Dialog. You are being ridiculous and ridiculing all those who happened to be white vanned. Talking against Kings Government doesn’t bring honesty with in those guys. Neither UNP nor JVP are honest, though talking against the government many times a day. Do you honestly think that this Friday Forum has to tell what is good, what is bad on the King’s government deeds to you? All the preachers are cheaters, follows the path of Mahavamsa…… this does not exclude Hindu, Muslims, Christian preachers too. They first say a convincing word and brainwash and take you to their wonder world immediately after your minds start to falls down on alertness. The Friday Forum preachers should close out that evangelical church. They can put forward their opinions on sites where their honesty can be questioned point blank. I dont say that Dr Jayantha Dhanapala falls into this category. I hope not. Some leaders of civil society are entrenched in their own comfort zones, earning fat salaries and enjoying govt patronage. They would love to enjoy both sides of the cake, by lukewarm opposition to the govt tyranny and enjoying the status of respected members of society. Their presence on the boards of companies bestows a feeling of recognition and class on those organisations. Appointment to Govt committees and positions and occasional breakfast meetings with the high and mighty are enough to rub off a feeling of smug self satisfaction and civic responsibility. Patriotism bubbles from every pore of these worthy beings. There are many such examples in the private and public sectors. Perched on their ivory towers, every thing is tickety boo for these emminent people. Laptops, duty free vehicles, housing loans etc. Alas we lack leaders with the morality and discipline of a Mandela or Ghandiji. Forget finding scapegoats … when the Gun is pointed at your head …. you wont become a hero by standing UP to your principles and getting shot! It is very consoling that ALL Sri Lankans are of very high moral calibre … judging by the posts …….. The point is with all this noise about MORAL CALIBRE ……… most everybody of HIGH MORAL calibre have the lowest PRINCIPLES ……. as is envisaged by the Standard of Life in Sri Lanka. The political situation would have never come to thos otherwise. So instead of shouting who of the ISP have not followed specific instruction from the Telcom regulatory … GET OVER THE phishing problem. Sri LAnkan’s are supposed to be smart – so dont SMART get over the problem. Use a proxy server such as http://www.hidemyass.com – Google free proxy servers and find many that will get you to the CT site. Well people, I am not as incensed as you all about Danapala, Jayaratne et al resorting to blatant lies. The fact of the matter is no one in Sri Lanka, specifically media personnel are free to do what they want. They have to tow the MR Clan line or meet with the consequences. The orders to block CT come from the Mafia Clan. The consequences of not following the Mafia orders as we all know can be quite dire. Either being white vanned or arrested for Terrorism related charges. Unlike CT and others who deride and demean Danapala, Jayaratne or Malinda, I only have sympathy for these tortured souls – consigned to be worms where they should be standing as men? But we are aware it’s always the Suddha who has self-respect and resigns. The ocean is so big there is enough fish and the man in question need not look for the dole if he does so isn’t it. The sinhala buddhist trumpet about being hospitable and when a EU caretaker visits there as a tourist he says they treat me like a king because they still believe that we are their master and jump the gun for us.No self respect. Dhanapala’s apparent collusion and silence on the censorship of online news vendors is a great disappointment and negates his human rights record so far. Ha ha ha! This is one of the best stories on CT. These supposedly guardian angles of democracy, human rights, media freedom and what not need to walk the talk. Jayantha Dhanapala’s claim that he is only an independent, non-executive director of Dialog is a very lame excuse. If he is so independent, why not resign and show his disapproval? When Friday Forum writes again, it better be that either CT is not blocked in SL, Dhanapala has resigned from Dialog or FF is criticizing Dhanapala for not doing that. One would b foolish to expect any one connected or work for UN to be honest. This guy is crooked as dogs hind leg. Dhanapala is a well known liar. He puts a front of western educated man just to get recognition and promotions. In actuality he had worked with racist Sinhalese governments to suppress the rights of Tamils,Muslims and Catholics. He is a Sri Lankan – so what is wrong in being a Liar. I am amazed at the venom and vitriolic of the various comments made by the majority condemning DJ as a liar.Chandra Jayaratne too is tarnished with the same brush.Such venal comments and the holier than thou attitude of the Colombo Telegraph verges on the hypocritical.After all how many liars,have the CT embraced in the name of freedom of the press!Grow up. Be not be surprised that all mortals have feet of clay.